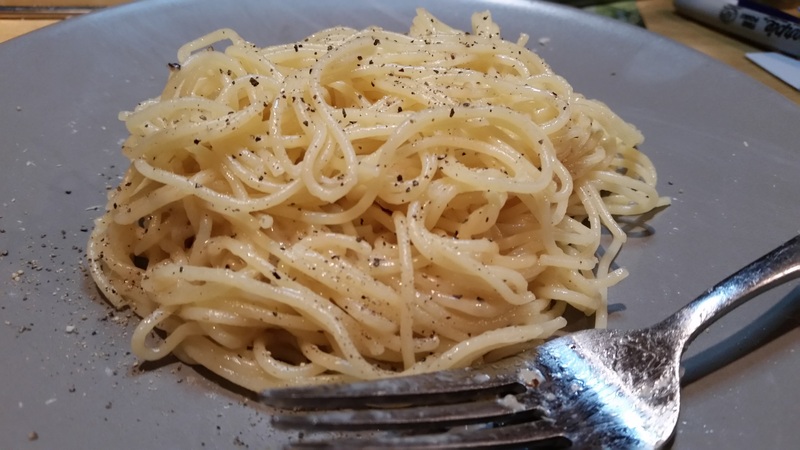 Cacio e Pepe – What's for Dinner Moms? Need a super simple meal with just a few ingredients? This may be the meal you are looking for! This is a horrible picture but it is like grown-up macaroni and cheese with black pepper. There is a whole bunch of controversy around this dish and how it “should” be made. I am NOT saying my way is the correct way but it was simple. Some say add olive oil instead of butter, some day save some of the starchy pasta water to make the sauce smoother, others argue it is the way the pasta is stirred or twirled into the sauce that makes the difference. This is the way I did it. Seriously, Google the recipes and read the comments to see how people disagree on this dish. My kids loved this and it was super simple to make. If you need a quick easy dish that is filling and flavorful this is great. Keep it simple with a fresh green salad and vegetable for the complete meal. Cook pasta stirring occasionally, until about 2 minutes before tender. Drain, reserving 1 1\2 cups pasta cooking water. Melt 2 tablespoons butter in a large heavy skillet over medium heat. Add pepper and cook, swirling pan, until toasted, about 1 minute. Add 3/4 cup reserved pasta water to skillet and bring to a simmer. Add pasta and remaining butter. Reduce heat to low and add Parmesan, stirring and tossing with tongs until melted. Remove pan from heat; add Pecorino, stirring and tossing until cheese melts, sauce coats the pasta, and pasta is al dente. (Add more pasta water if sauce seems dry.) Transfer pasta to warm bowls and serve. 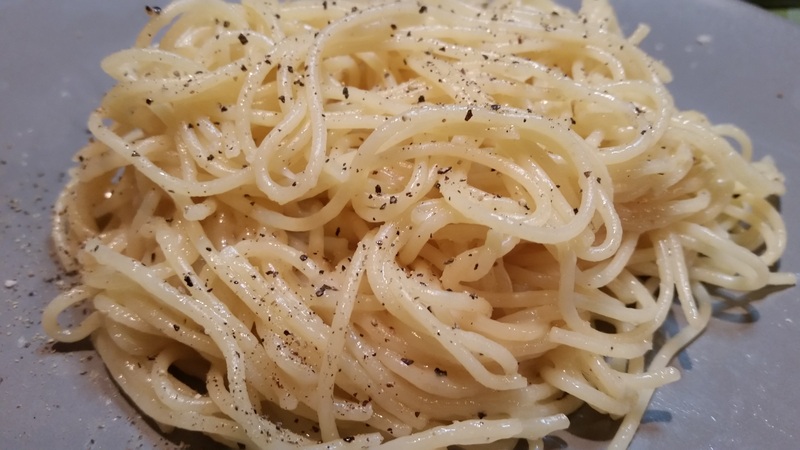 Garnish with extra black pepper and cheese as desired. I’m pretty sure I ate this my entire time in college! It’s so good! My family love pasta. A lovely recipe, Marci. Thank you. No matter how you make it it is wonderful! What a great recipe for adapting. Just made it with what I have on hand, yum! Simple and easy ! Looks yum ! We love this basic pasta dish – so good! Simple tastes are perfect for kids. Pingback: Top 3 Recipes from November 2017 – What's for Dinner Moms?